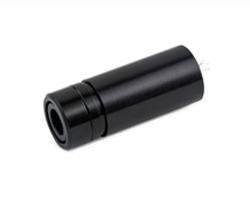 Global Laser’s DCA (Diode Collimator Assembly) provides a low cost high quality OEM solution to manufactures looking for a compact assembly incorporating a laser diode, collimating lens and housing. The DCA consists of an 8mm diameter aluminium housing, industrial laser diode and A/R coated collimating lens, with direct connection to the laser diode pins. 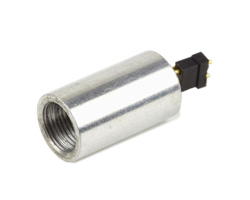 The DCA is available with a large range of laser diodes covering a wide range of wavelengths and out put powers. The collimating lens is user adjustable for further flexibility and can be set to produce collimated beams or fine focused spots. For suitable drive electronics please see our range of IC drivers and driver PCB’s.